Carole Marsh Mysteries, 9780635016607, 146pp. 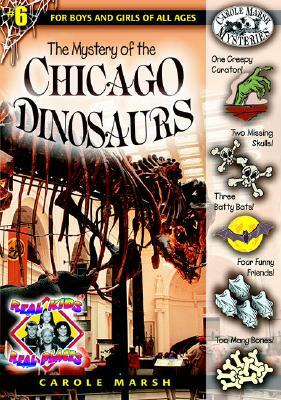 An ordinary trip to see the dinosaurs at Chicago's Field Museums turns into a riot of mystery and laughs as four real kids gallivant all over town trying to learn about Chicago's past in order to solve the mystery and save the dinos Renaissance Learning, Inc now has Accelerated Reader quizzes for all of the Carole Marsh Mysteries To visit their website, click here. The Mystery of the Missing Dinosaurs is recommended by Sylvan Learning's Book Adventure reading program. Book Adventure is a FREE reading motivation program for children in grades K-8. Sylvan Learning is the leading provider of tutoring and supplemental education services to students of all ages.